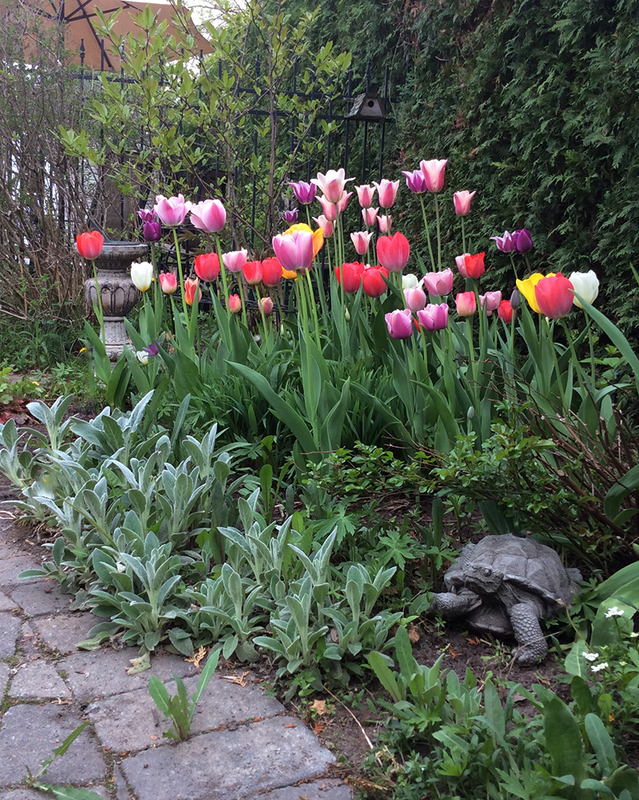 Oh, my goodness, I am also in love with your tulips! I would definitely be staring out my windows, OFTEN, if I had these views! 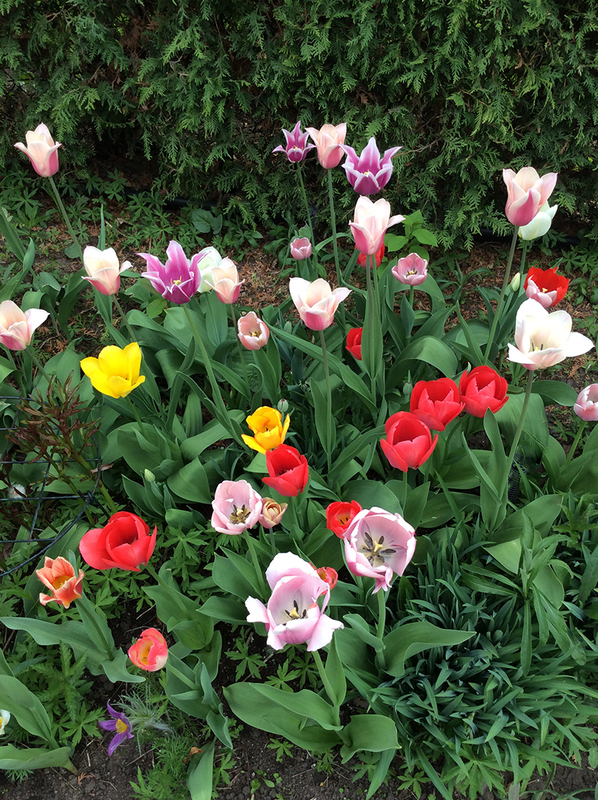 Here in the Phoenix area, it only freezes a few times per winter, and in general does not stay cold enough for people to grow tulips, daffodils, etc. So, I miss them! I did grow them when I lived in Albuquerque. What a thrill after the cold of winter to see those tiny green tips start to push up through the earth, the promise of warmer days ahead! 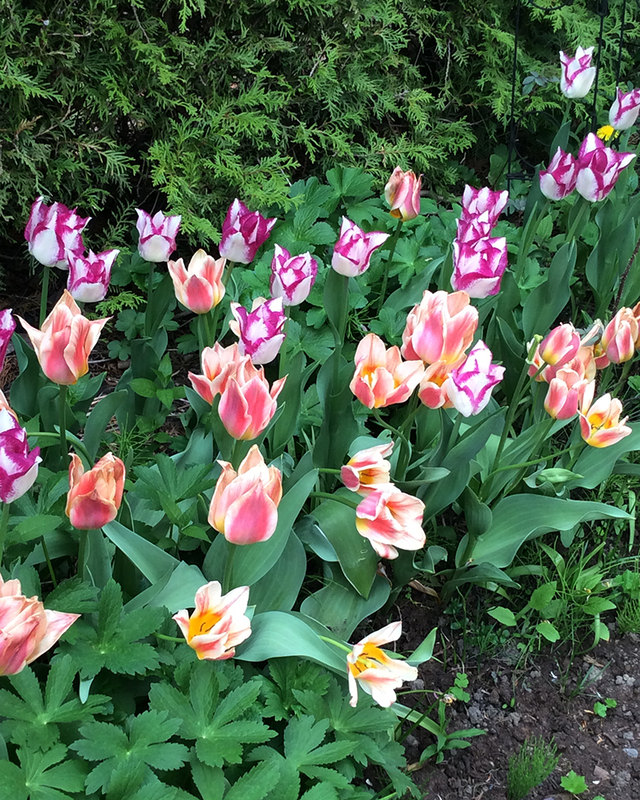 When I see tulips in the grocery store in the spring, I indulge myself and buy them now and then, because I can't grow them. 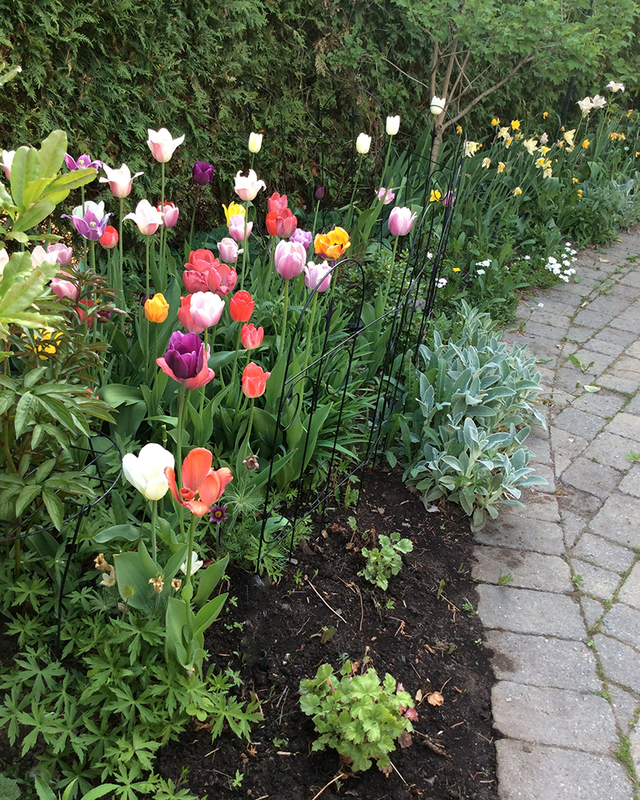 Thank you so much for sharing your tulips, you did such a lovely job with your gardens! And, with your photos! Thanks, Nancy! 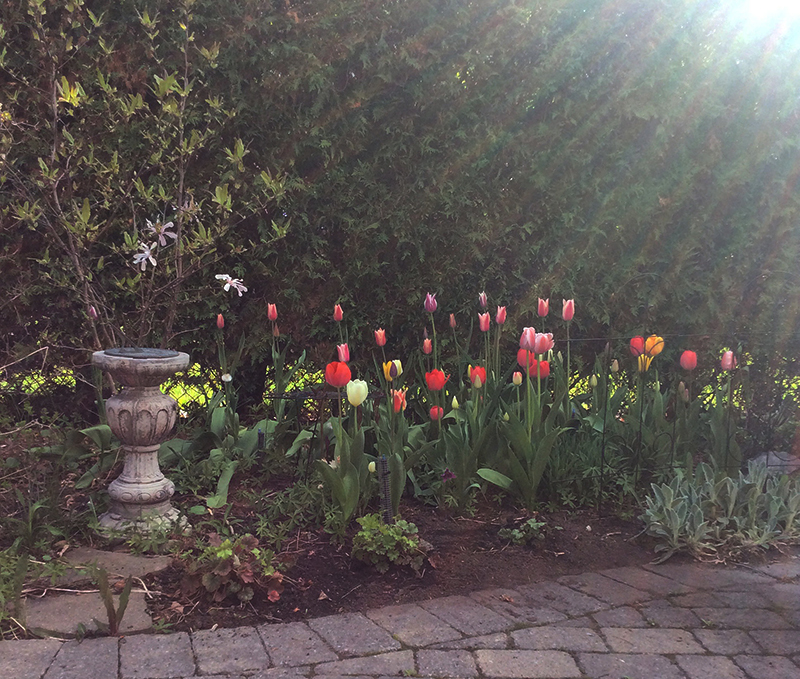 There is definitely a lot of excitement and anticipation as my spring garden come to life. Then when it blooms, I want to soak in every moment as it is so fleeting. 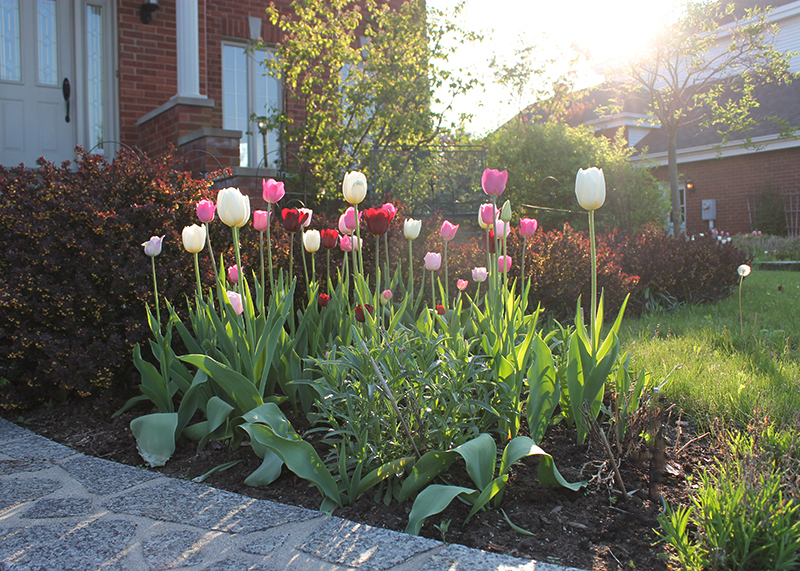 I'm glad I took a lot of photos as high temperatures this week and a thunderstorm really took a toll on the tulips. It's so nice to have news from you, Julie! I was thinking about you recently. Another move! Oh my, that must have been tiring. We've been in our house for 17 years this June. I don't look forward to having to pack things up some day. 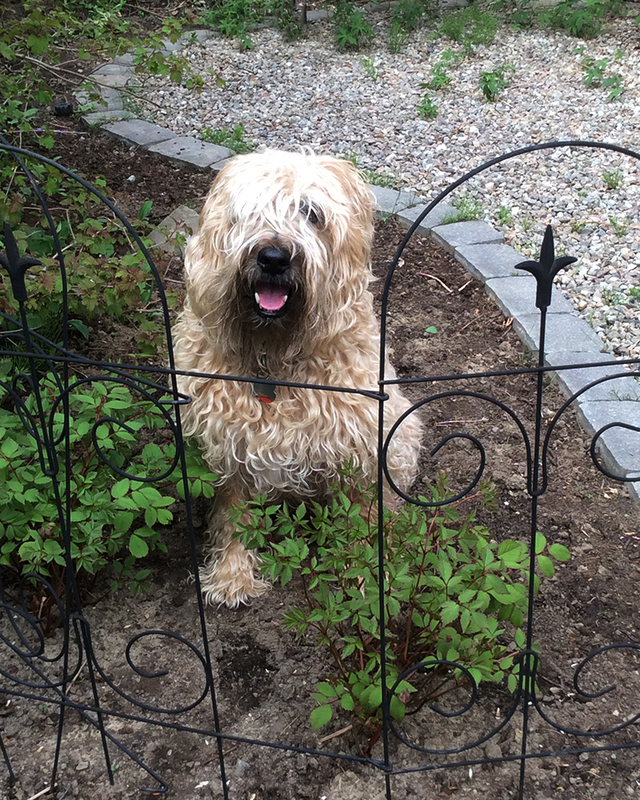 You have a glorious garden, my friend ! 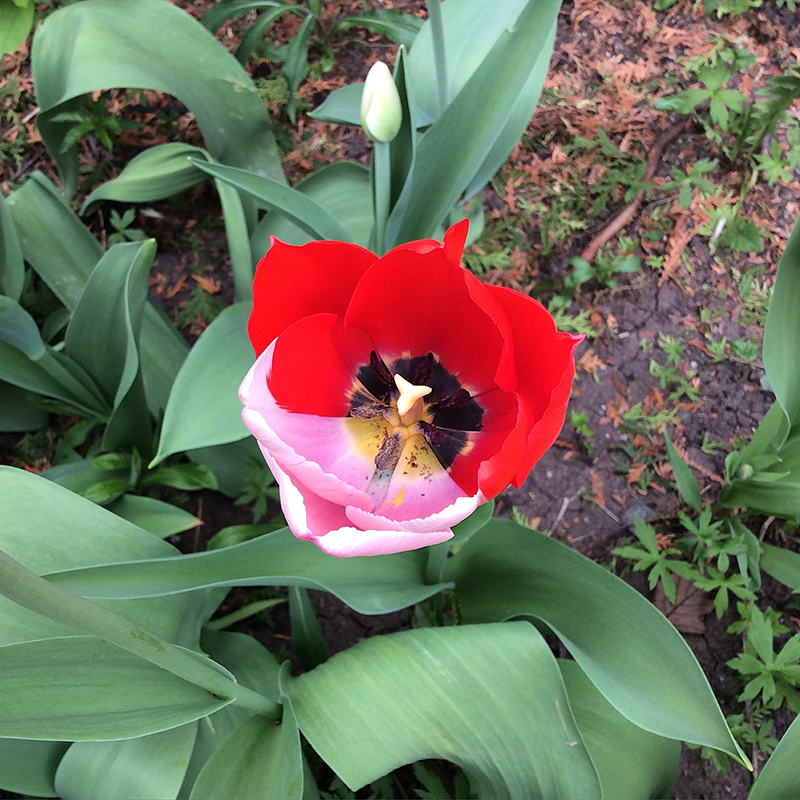 I'm amazed by the half/half tulip, how stunning ! Looking forward to having my little piece of floral heaven myself ! Thank you, Sonia. 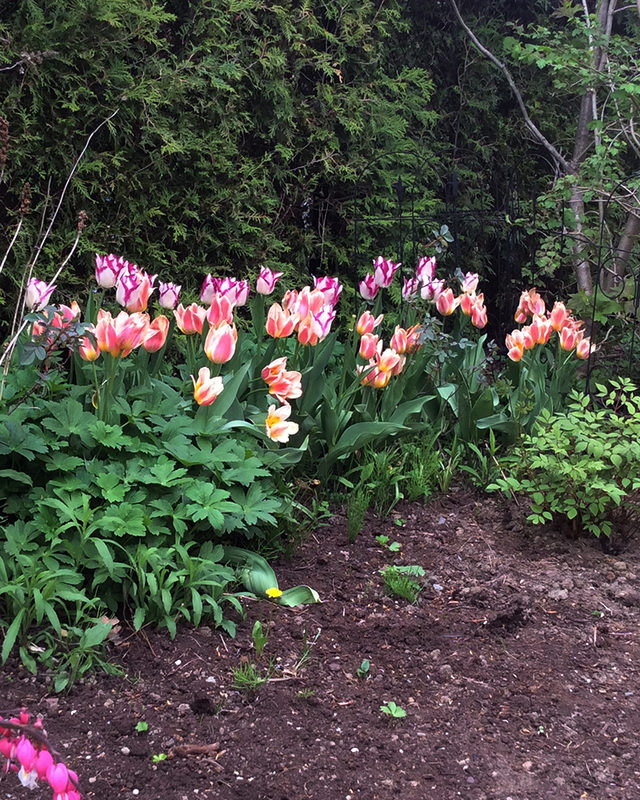 That bi-coloured tulip was so amazing to see. I am so happy for you. I know how much you dreamed of having your own garden some day!